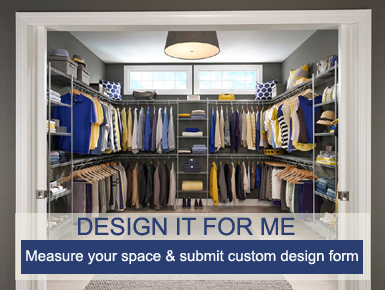 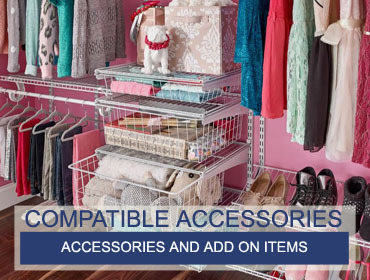 Find compatible accessories to complete your custom storage solution. 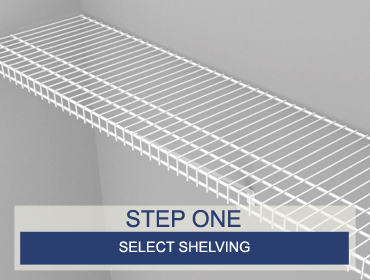 Select the depth and length of your shelving to suit your available space. 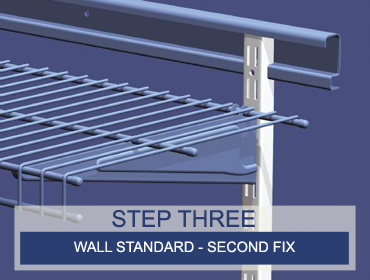 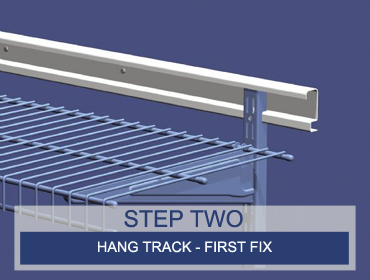 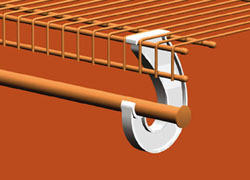 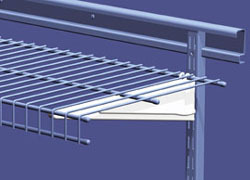 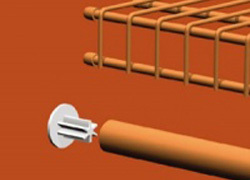 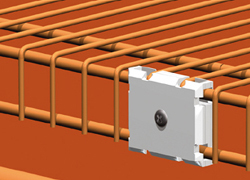 Select your horizontal hang track and wall fixings required for mounting. 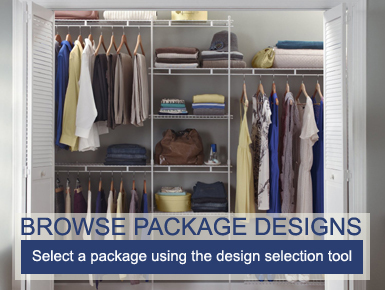 Select your vertical wall standards to give yourself optimum flexibility for your available space. 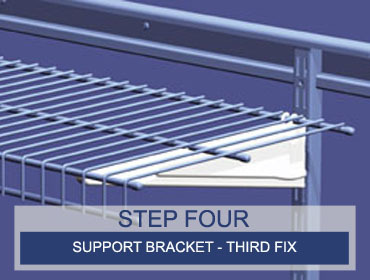 Choose support brackets to match your shelf depth. 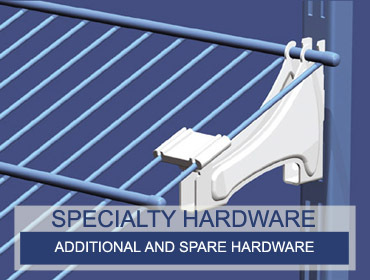 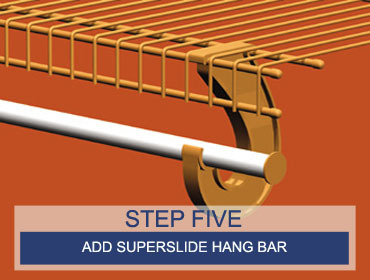 Choose a hang bar and supporting hardware to add to your SuperSlide shelf for clothes storage. 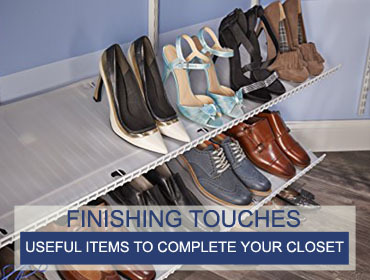 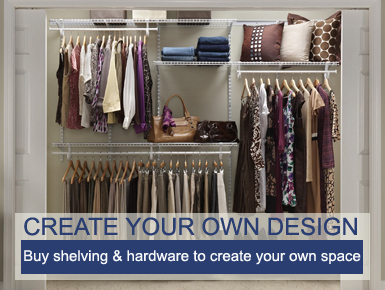 Join shelving and standards together with specialty hardware or add a shoe rack. 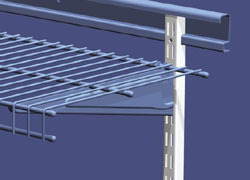 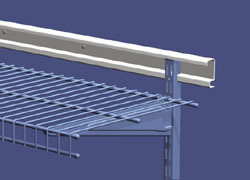 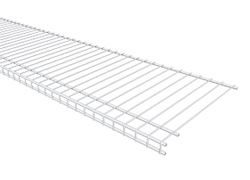 Add end caps and shelf liners to complete your shelving system.